UNAIDS - "Most countries are not on track and too many people living with HIV are still dying from TB which is preventable and curable. The most vulnerable and the marginalized are still out of reach of HIV and TB services and in around 40 countries the number of TB deaths among people living with HIV is increasing. This is unacceptable. 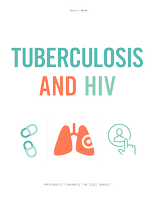 Are countries on track to reduce TB deaths among people living with HIV by 75% by 2020?